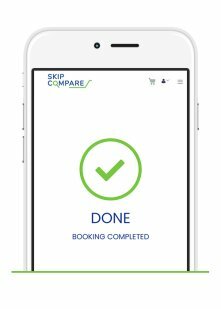 Skip Compare Brisbane provides skip bin hire for any type of cleanup, whether it be for a spring clean, large rubbish removal, at a building a job site clean up even for renovations, gardening, rental cleans or furniture disposal, keeping in mind that we strive to be as environmentally friendly as possible. Skip Compare provides high quality heavyweight duty bins along with a reasonable price. We offer a variety of sizes starting from 2m 3 going upwards to the largest of 30m 3 skip bins. 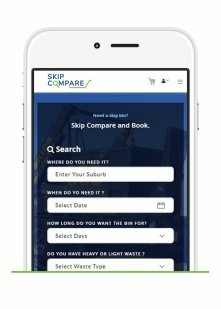 If you are looking for an affordable, efficient and reliable skip hire services then Skip Compare Brisbane will deliver our skip bins on time and in a professional manner to all our customers, whether you are a home owner, builder or developer and can offer short-term and long-term hire. 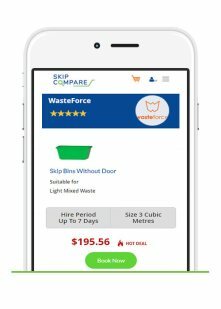 Do you need to hire a skip bin in Brisbane? Do you need to clear space for an event you are organising? Are you moving home or office? Are you renovating your home and need to cater to your DIY dreams? Whatever the reason we have all of your bases covered with avail skip bin hire Brisbane and surrounding suburbs. Getting a skip bin on hire is the safest and most effective means of residential and commercial waste disposal. Enter your requirements on our user friendly website, fill in the necessary details and we do the rest. We will deliver the skip bin, you fill it with your residential or commercial waste and our team of professionals will turn up and take it away, job done. It’s that easy! Saving you time and energy and what’s even better you know you’ve received a fantastic price. Do you have questions, no worries, we are here 24/7 happy to talk to you and help you with any queries you may have. How to know my requisite Skip Bin Sizes Brisbane? The biggest dilemma that people face when booking and hiring a skip bin is what skip bin size Brisbane is the most suitable for their needs? Our company provides skip bins in a multitude of sizes, however, we ask you to anticipate your waste requirements for the given time period and size of your project then consider booking a bin just one size larger. It is practical to pick a size up from your initial estimate as we have found it is quite common for our customers to miscalculate their needs and one size larger will ensure your needs are well and truly catered to. What will be the Skip Bin Prices Brisbane? A lot of skip bin hire companies in Australia claim that the Skip Bin prices Brisbane offered by them are the cheapest. We do offer the most competitive rates and our suppliers are the leaders in the industry. Our knowledge of the waste industry allows us to work with professional vendors to ensure you get the best value and service. Of course the price of our bins are priced according to their size however you will always receive a competitive edge. How do we carry out waste removal Brisbane? After you place your booking we enter and schedule your drop and collection dates. We will come to your premises on the scheduled pick up date to collect the waste. However, unlike most of the companies, our agenda is not just waste removal Brisbane, we sort the waste collected and recycling all possible materials. If the waste is recyclable, our first priority is to recycle it so that minimum waste goes into the environment.